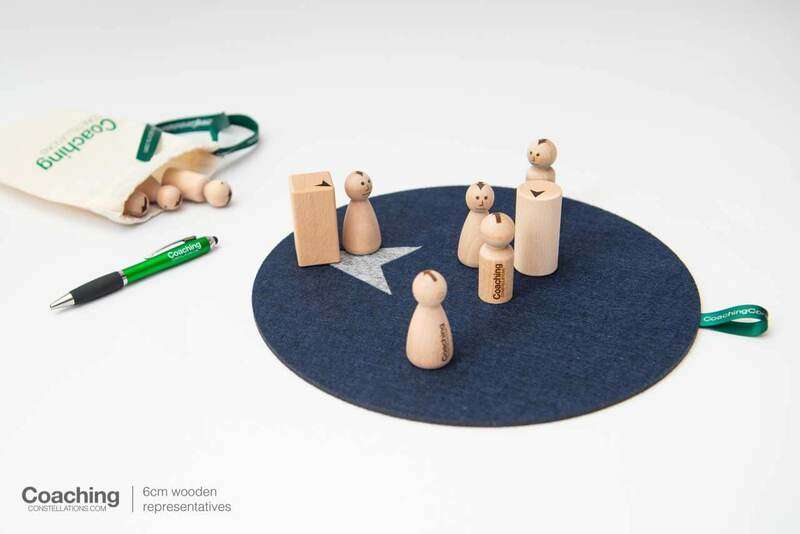 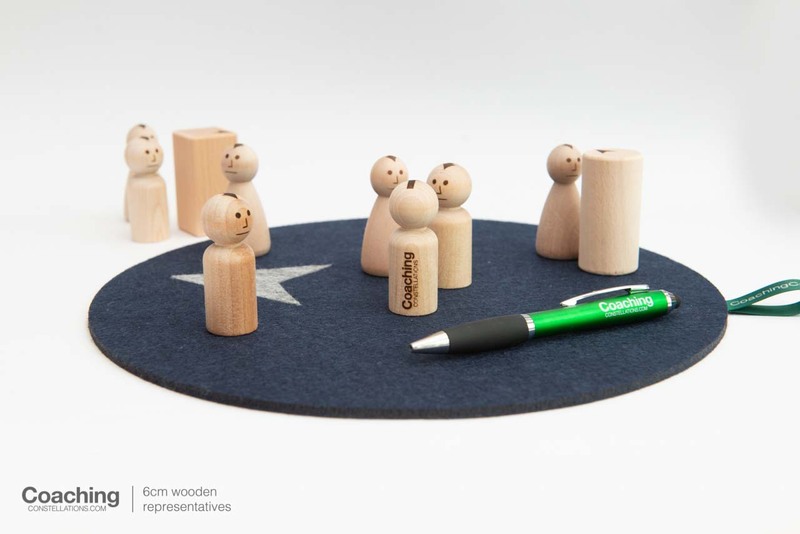 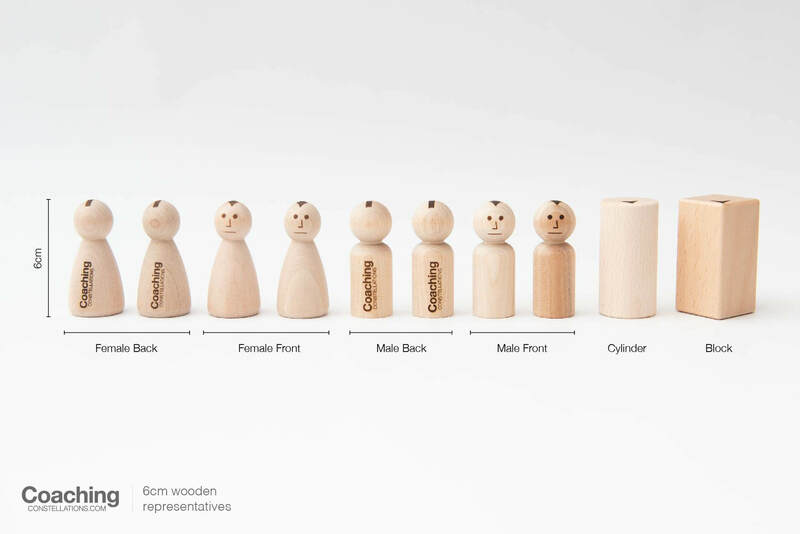 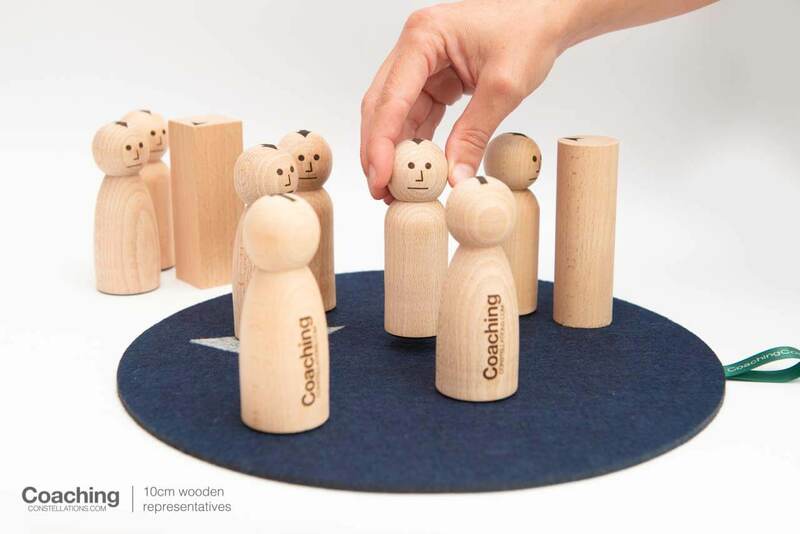 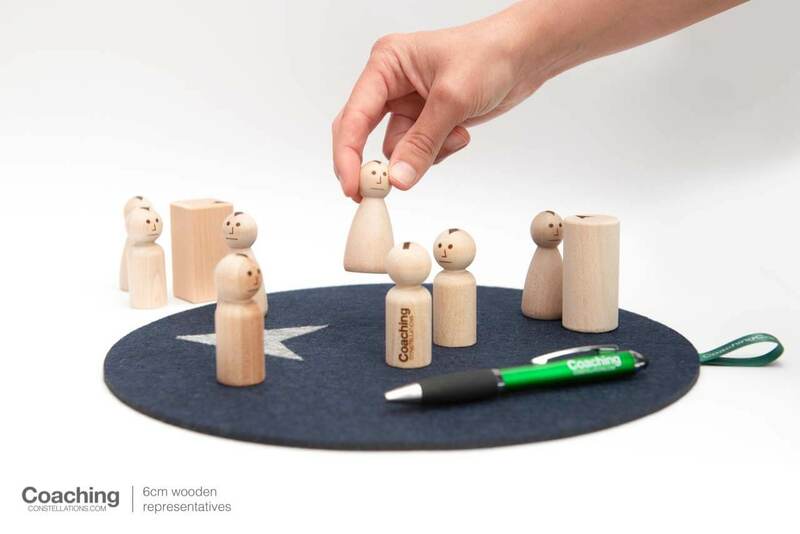 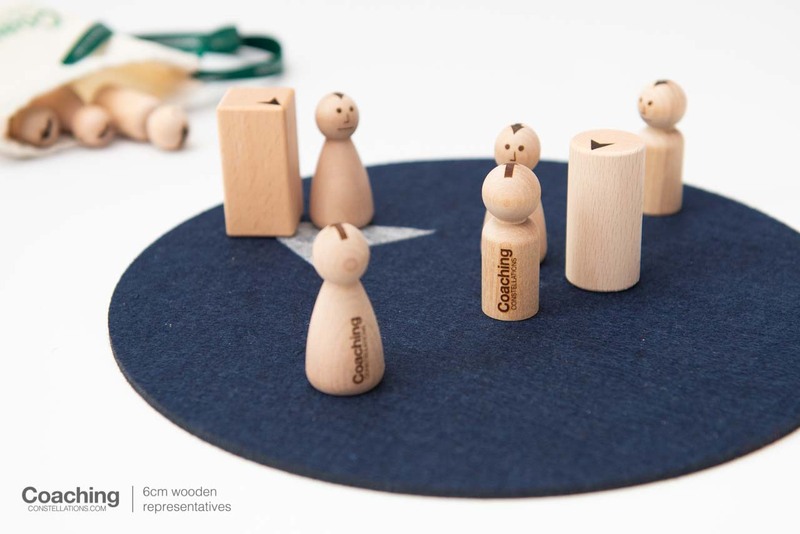 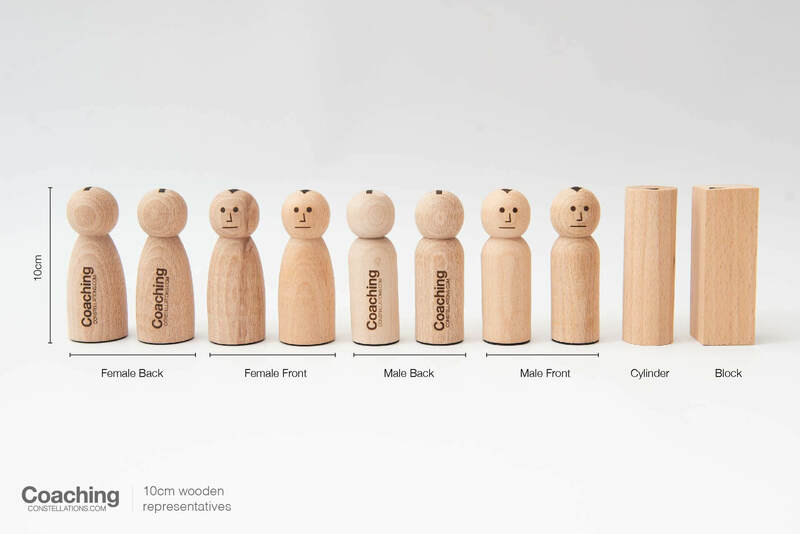 Each set includes four ‘female’, four ‘male’ and two neutral representatives. 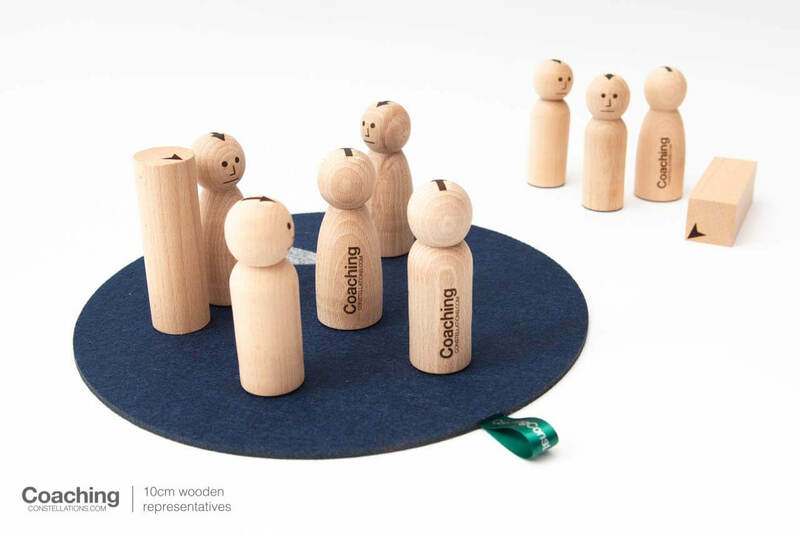 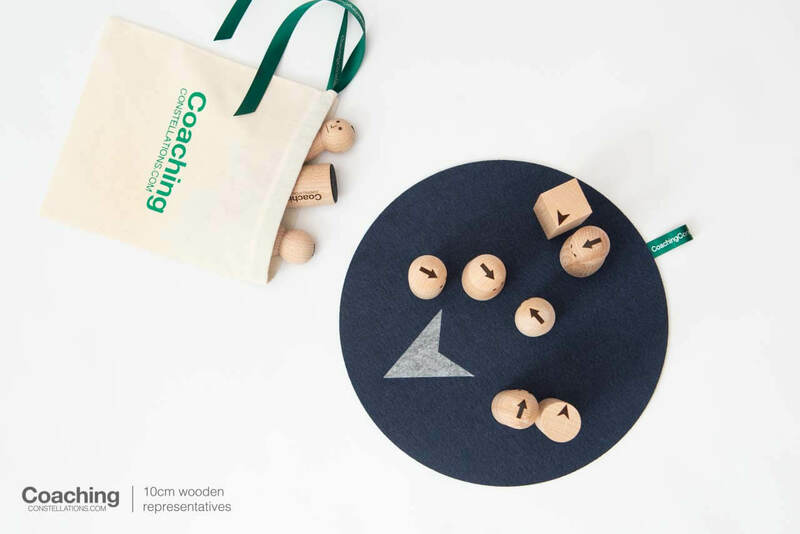 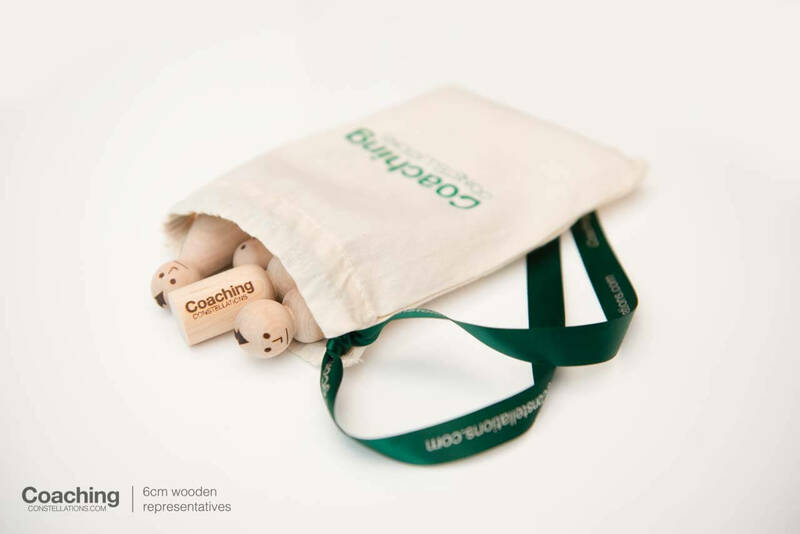 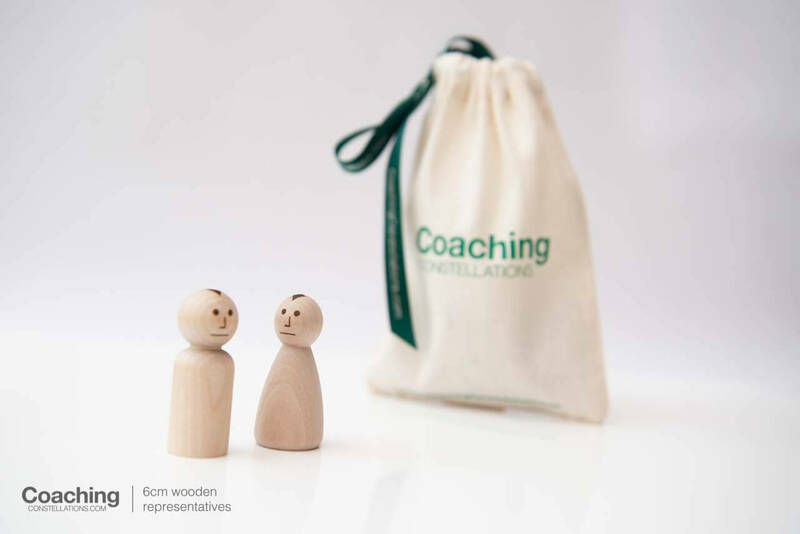 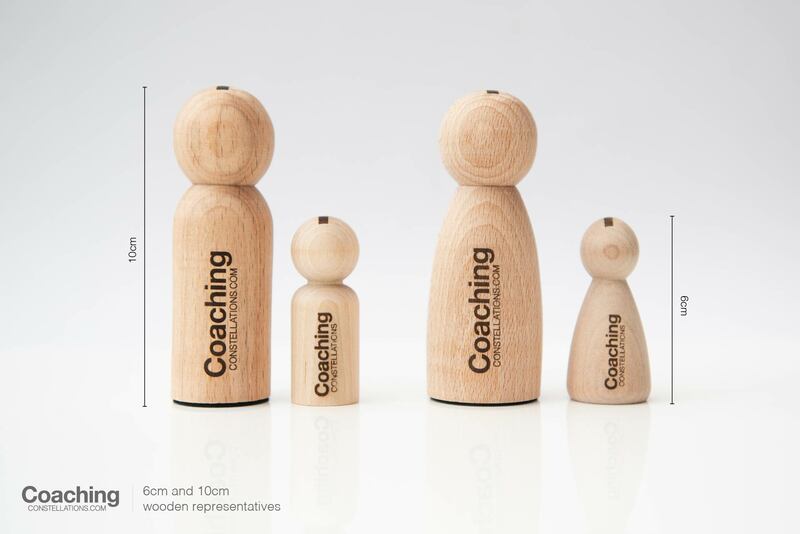 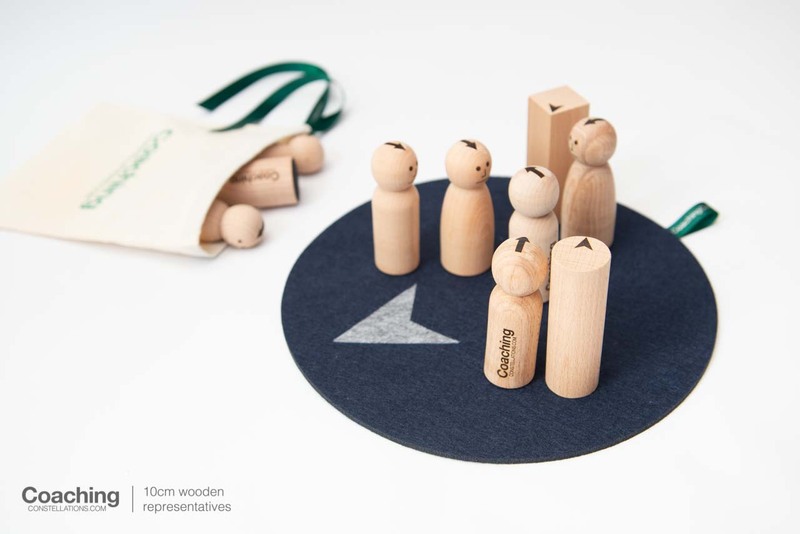 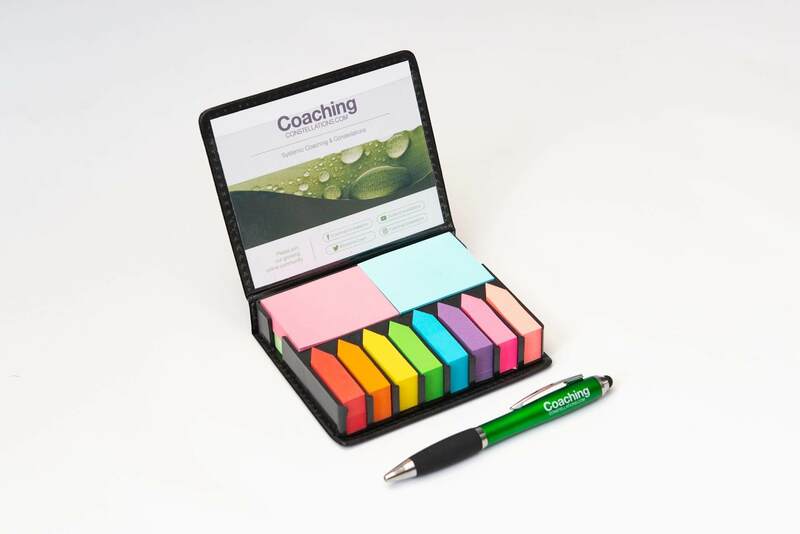 Each set of ten comes in a cotton bag and with guidance notes to support practice. 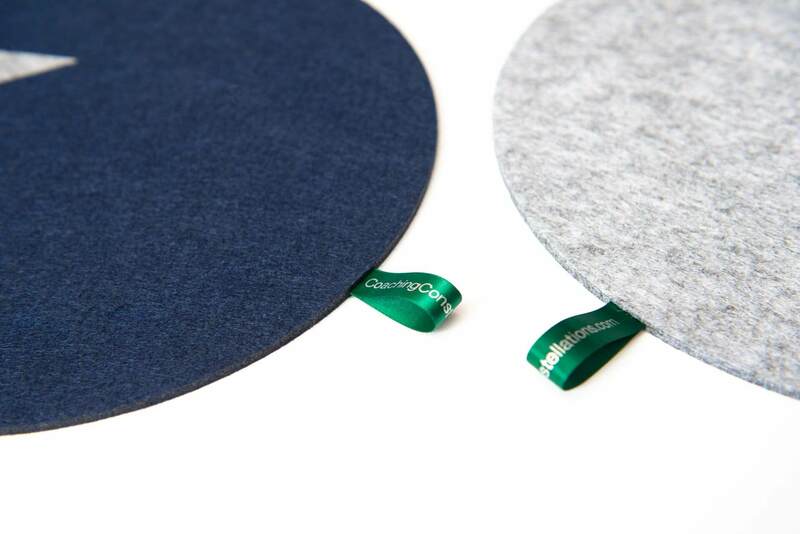 The mats shown in the photographs are available separately: please scroll down. 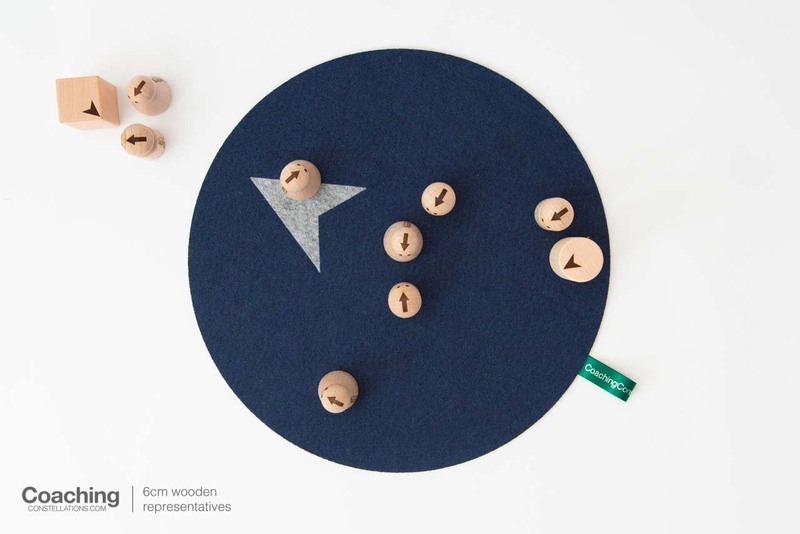 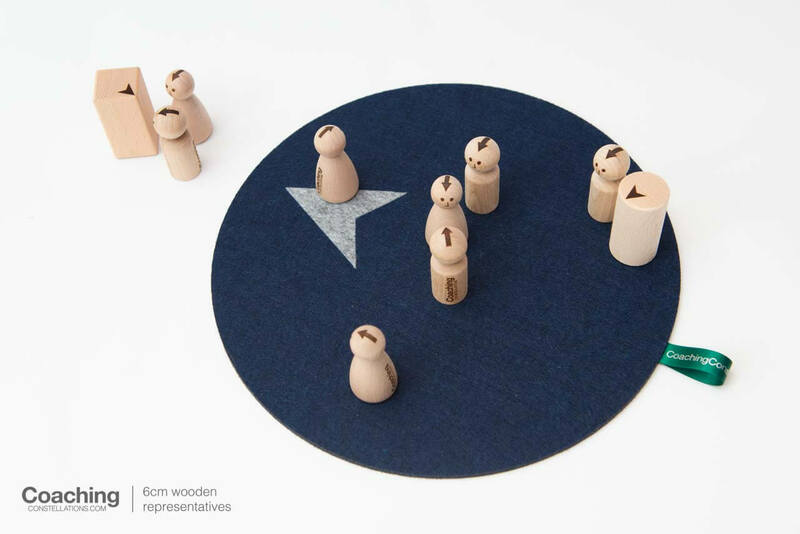 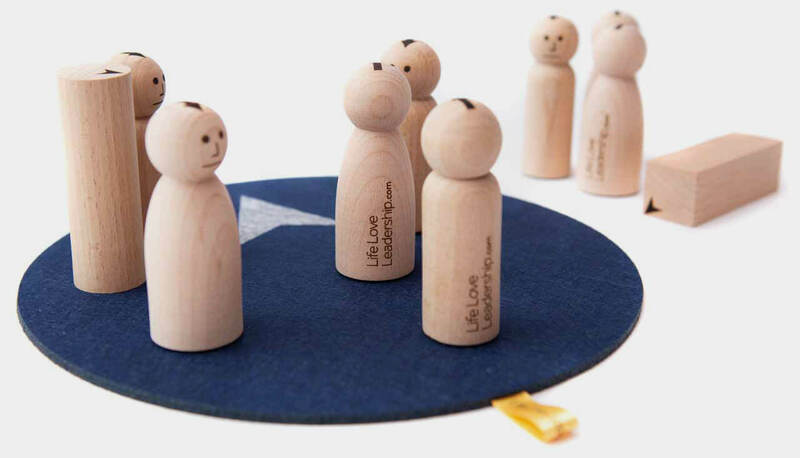 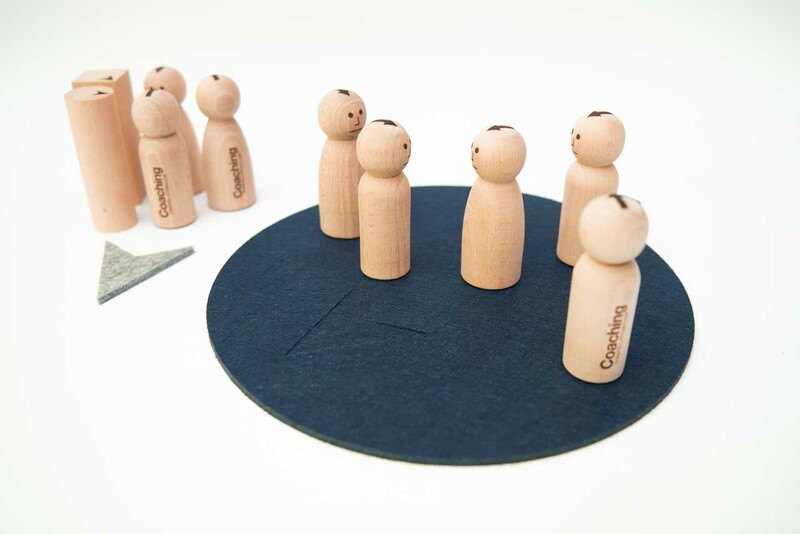 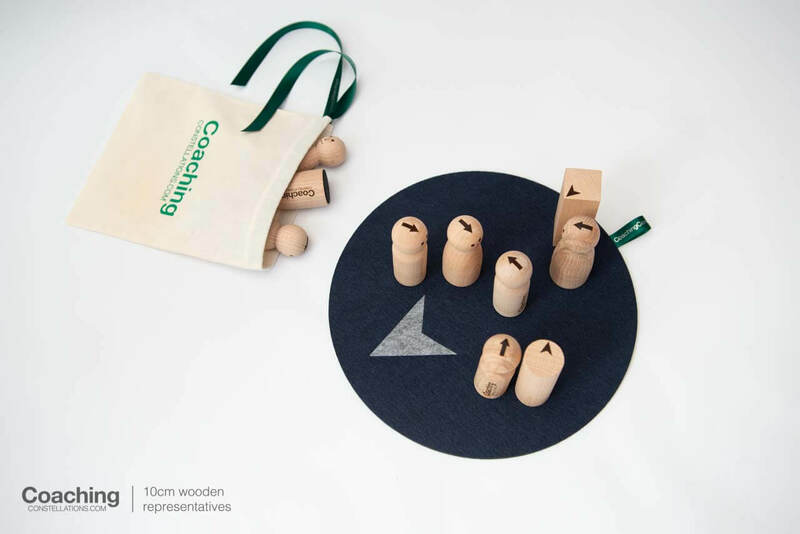 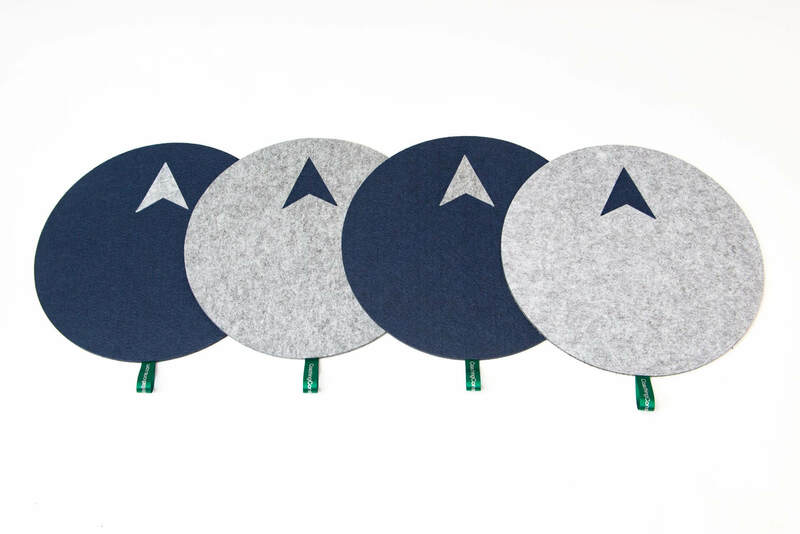 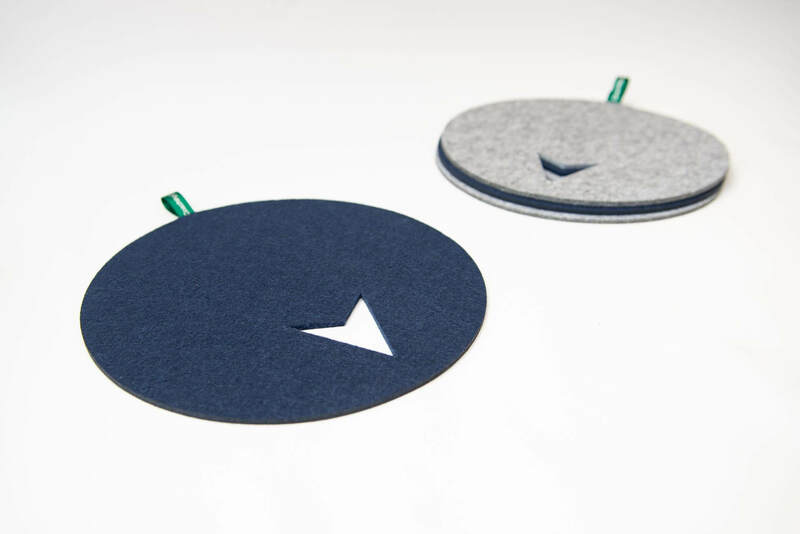 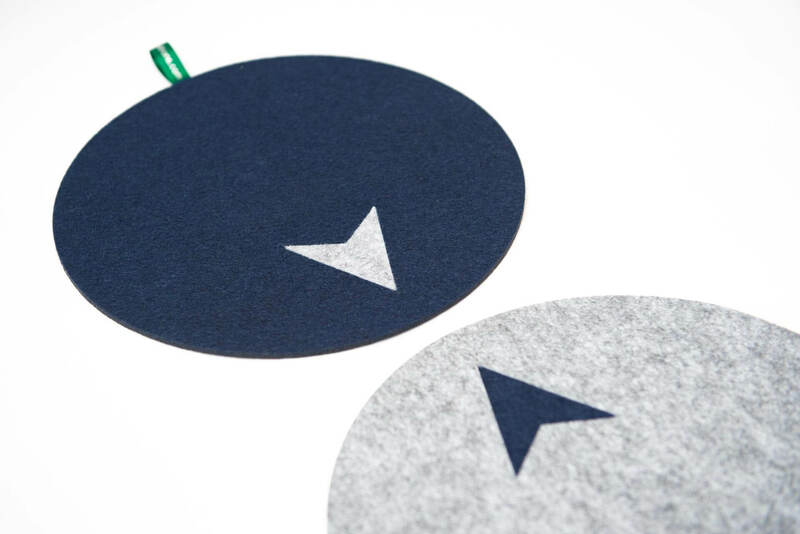 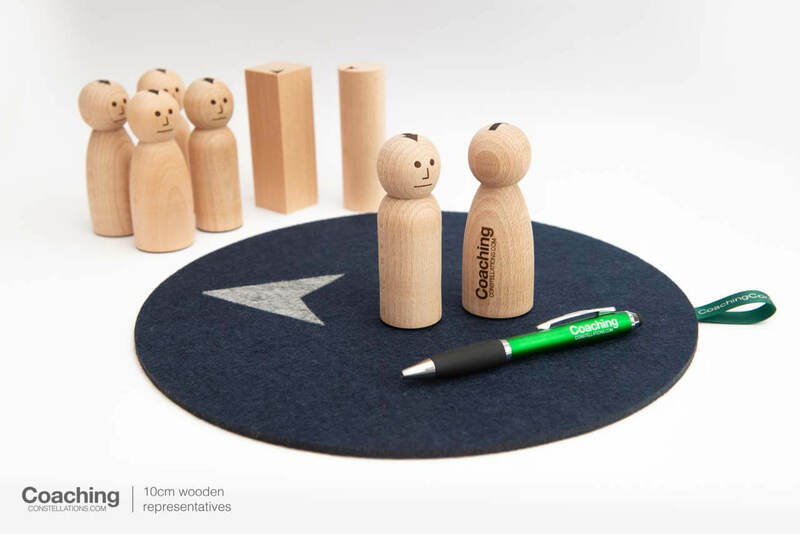 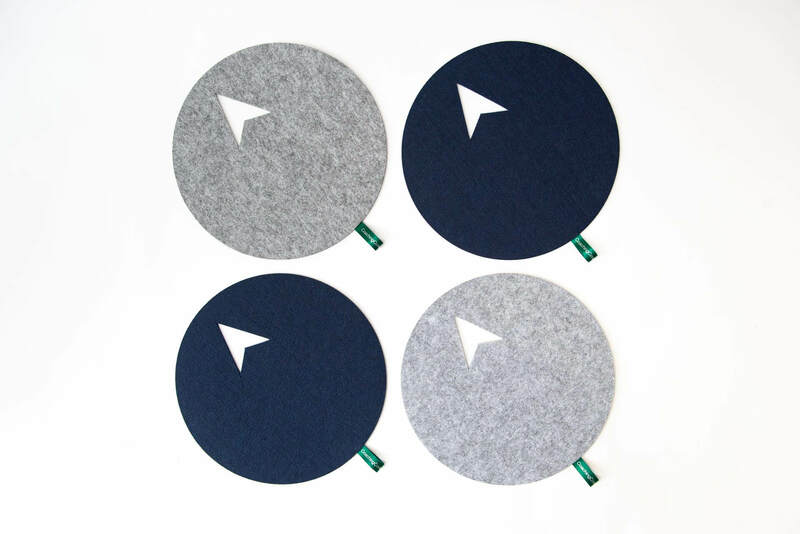 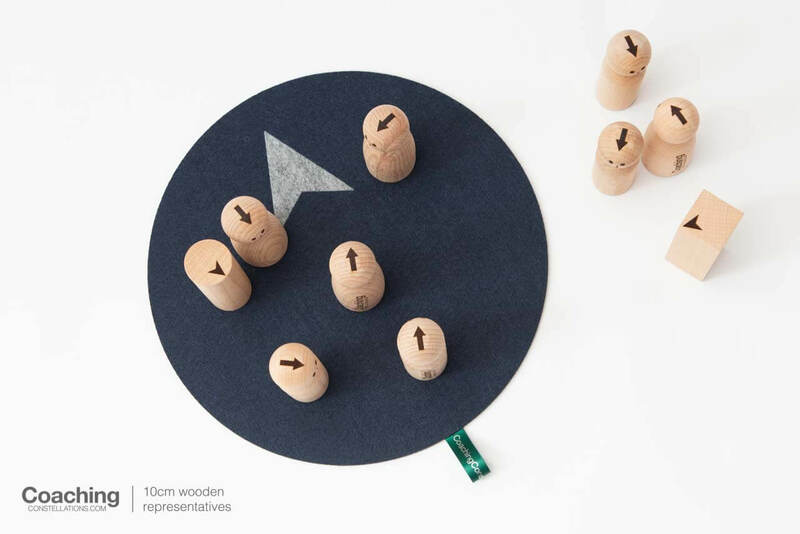 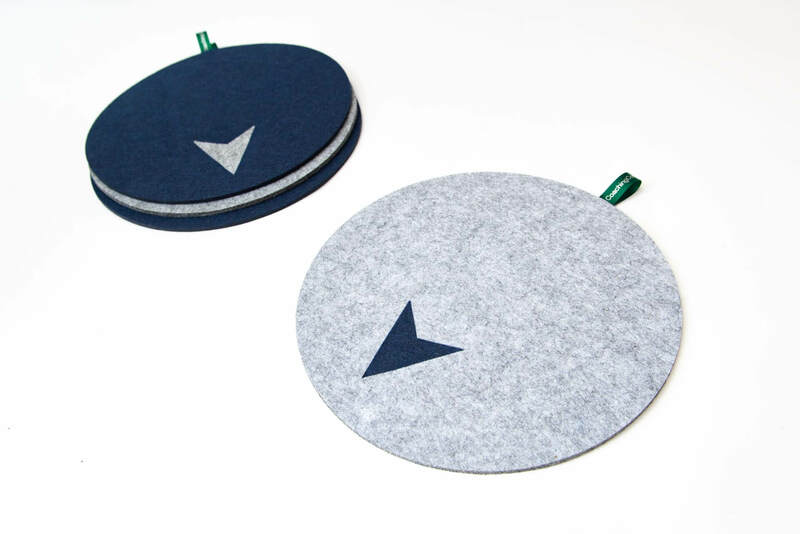 These 30cm diameter felt mats can be used as floor markers or system boundaries on the tabletop. 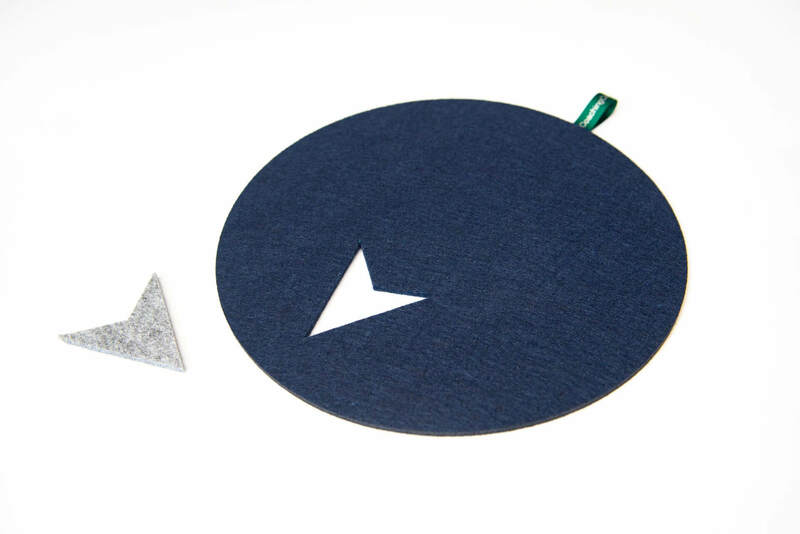 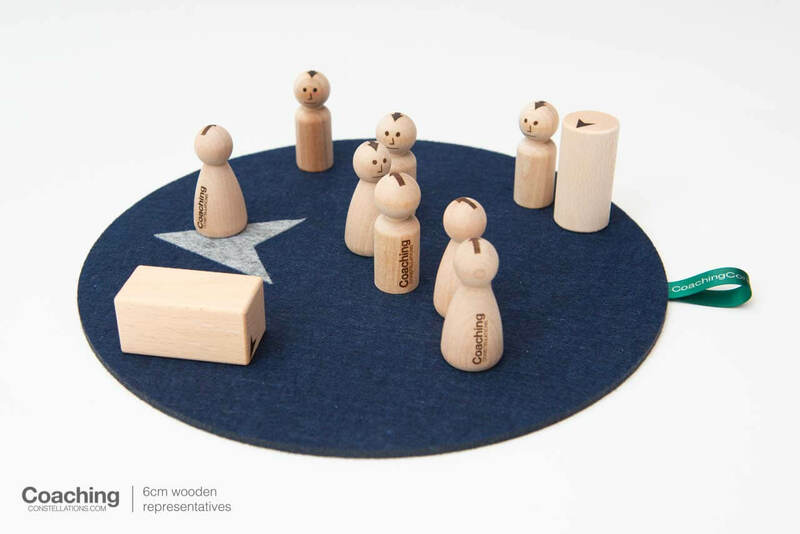 Each set contains two grey and two blue mats and all have removable arrowheads that can be used in a number of ways. 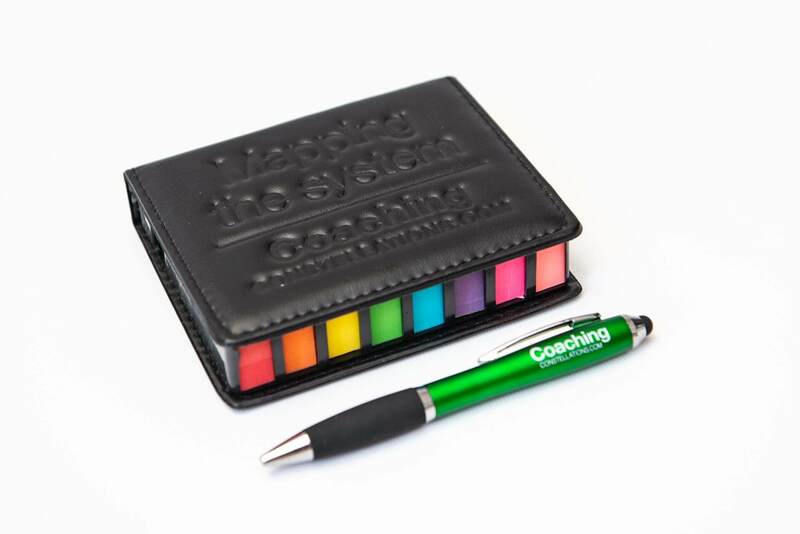 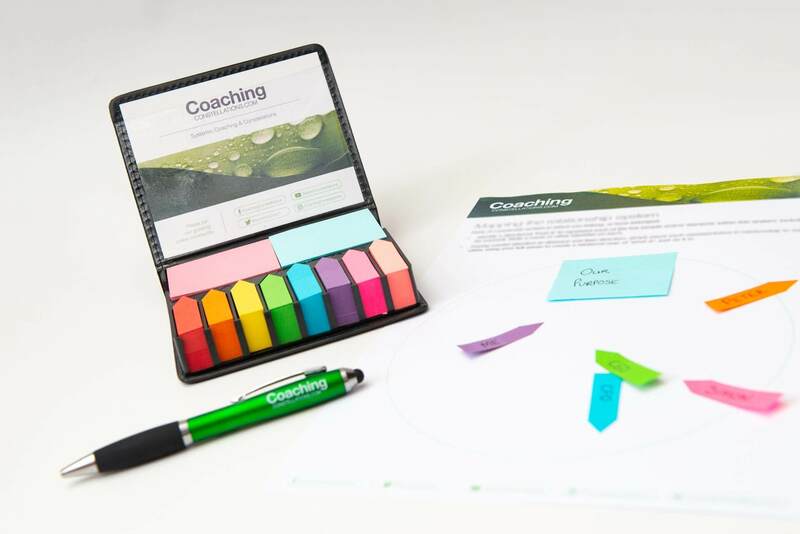 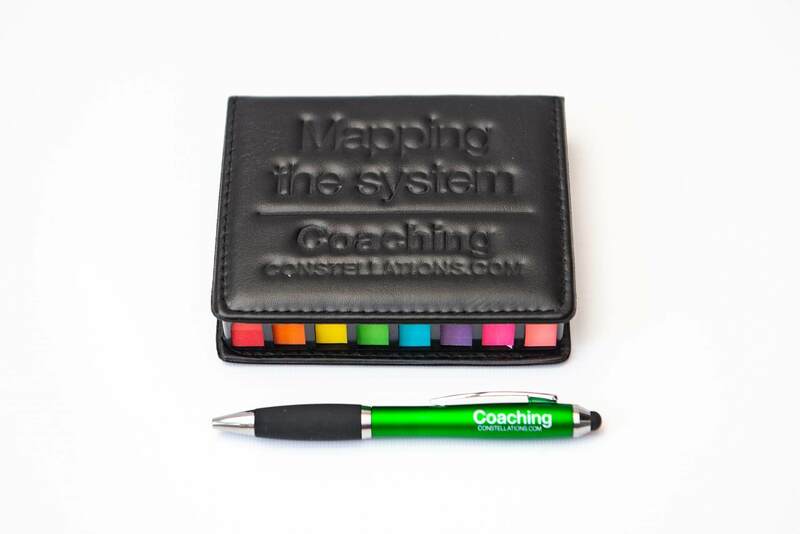 These self-contained kits offer you an accessible way of introducing the idea of relational maps to your clients, whether individually or in large groups. 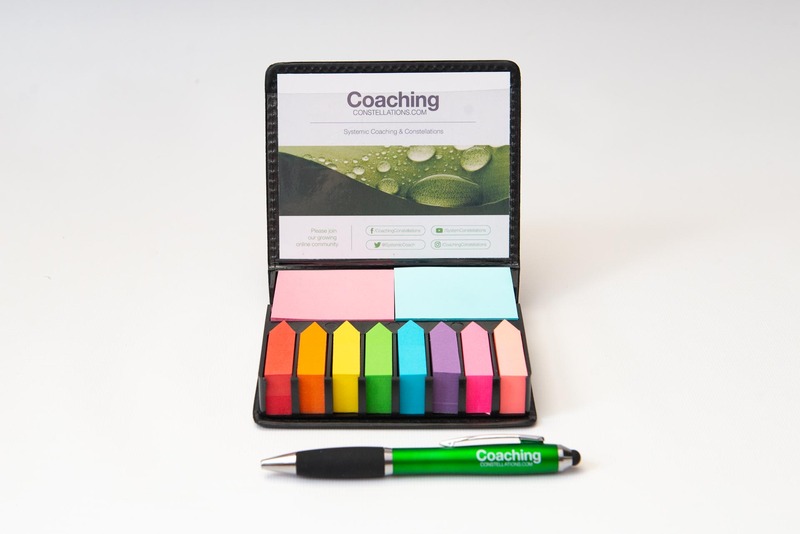 The kits come with guidance notes and a practice sheet. 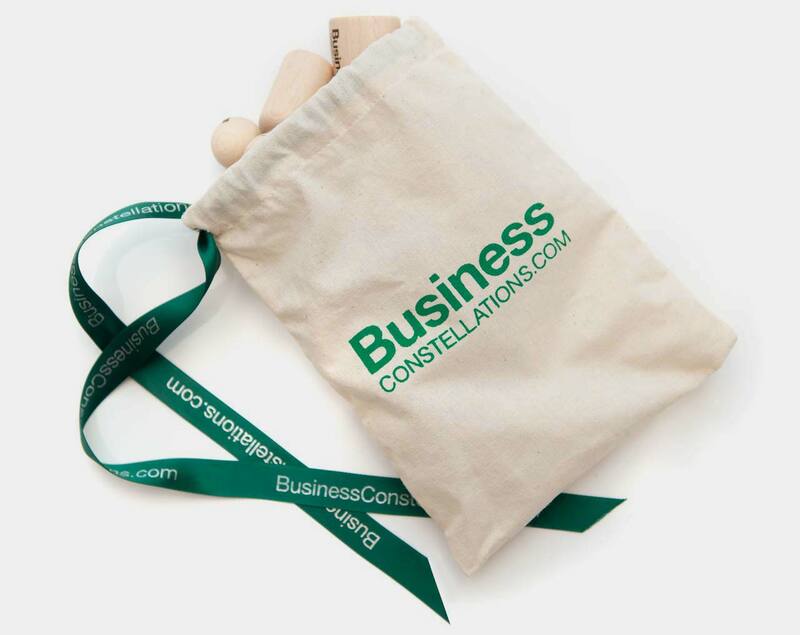 These resources are also available through our Business Constellation & Life Love Leadership websites.